What’s the Difference Between Physical Therapists, Athletic Trainers, & Personal Trainers? Note: This post was written by one of our PT students, Kaitlyn Douglas, SPT, ATC, CSCS from KU Medical Center. Kaitlyn has a comprehensive background in all three fields and offers a well-rounded perspective on physical therapists, athletic trainers, and personal trainers. Thanks Kaitlyn! Have you ever wondered what a physical therapist is? What about an athletic trainer or personal trainer? Do you know the difference between the 3? Is there a difference in what they do and how they can serve our community? The answer to these questions are not simple. These 3 professions are closely related and often work together to provide the best care possible for their clients and patients. To really understand the similarities and differences, one must understand their scopes of practice and the populations they serve. The purpose of this post is to explore the similarities and differences between physical therapists, athletic trainers, and personal trainers. Athletic trainers (ATs) are healthcare professionals who work with physicians to enhance patient and client activity and participation in athletics, work, and life. The scope of athletic training covers prevention, examination and diagnosis, treatment, and rehab of emergency, acute, and chronic neuromusculoskeletal conditions. ATs also assist patients with certain medical conditions to minimize re-injury, functional and societal limitations, and disability. (1) Basically, ATs work with patients from the time of injury through rehab and beyond to facilitate healing and prevent re-injury. ATs must attain at least a baccalaureate degree, and, in 49 states, must receive state licensure. Most ATs work in a sports setting, either in high schools, colleges, universities, or professional or Olympic sports. However, they can work in a variety of settings including hospitals, emergency rooms, factories, urgent cares, the military, and outpatient rehab facilities. ATs must work closely with physicians, coaches, patients, and other healthcare professionals to deliver high-quality care to their clients. Athletic training students are educated in 12 different content areas including risk management and injury prevention, pathology of injuries and illnesses, orthopedic clinical examination and diagnosis, general medical conditions and disabilities, acute care of injuries and illnesses, therapeutic modalities, conditioning and rehabilitative exercise, pharmacology, psychosocial intervention and referral, nutrition aspects of injuries and illnesses, health care administration, and professional development and responsibilities. At the end of their 4 years of education, athletic training students are required take the BOC (board of certification) before they can begin practicing as certified athletic trainers. This exam is a culmination of all 4 years of education and allows the student to become licensed in their state of choice. As stated previously, ATs must work closely with several professions to provide the best care to their patients. In the sports setting, ATs work with coaches, strength and conditioning coaches, and the team doctor to ensure the safety of all the athletes on the field/court and in the weight room. Once an athlete is injured, ATs will work to rehab the injury and prevent further injury from occurring. ATs work with the team physician to determine when the athlete is ready to return to play. ATs must be able to communicate with coaches and athletes to prevent an athlete returning to play too early and increasing the risk of re-injury as well as additional injuries. ATs are not only present on gameday and in the athletic training clinic, most schools utilize ATs at practices, especially with contact sports. Day in and day out, ATs are present for practices and games to be immediately accessible to injured athletes and give on-the-field care, including first aid and medical attention. 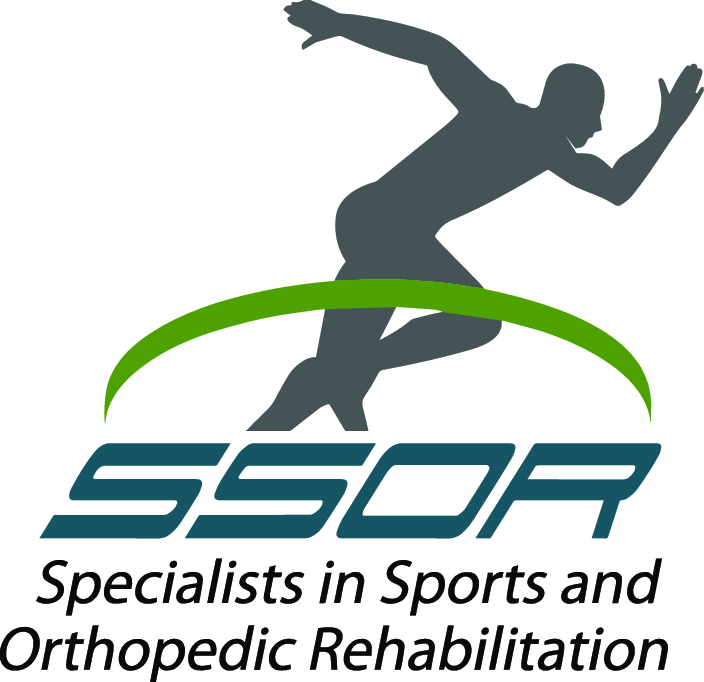 ATs have direct access to athletes and patients in the settings they work in. This means that a patient or client does not need a referral from another healthcare professional to see them. However, ATs do work under and are supervised by physicians, especially in the school and hospital settings. In other settings, ATs are present to help prevent workplace injuries, assess and implement ergonomic care for prevention and management of injuries, and examine and diagnose injuries. ATs in a non-sports setting provide similar care that those in the sports settings do. They implement appropriate treatment and rehab of illnesses and injuries for a safe work environment and work to prevent injuries when possible. The American Physical Therapy Association (APTA) defines physical therapists (PTs) as “highly-educated, licensed health care professionals who can help patients reduce pain and improve or restore mobility – in many cases without expensive surgery and often reducing the need for long-term use of prescription medications and their side effects.” (2) Athletic training and physical therapy are very similar professions, with the key difference being that PTs treat a much wider variety of patients and injuries, conditions, and illnesses. PTs treat patients throughout the whole lifespan from newborns to the elderly. PTs also treat more than just injuries, which allows for more variety and specialization. Neurological, musculoskeletal, and developmental injuries and conditions are just a few of the things PTs can treat. In today’s world, PTs are required to earn a Doctorate degree. At the end of 3 years, typically, of graduate school students earn their DPT (Doctorate of Physical Therapy) after already earning at least a bachelor’s degree before entering a physical therapy program. There are still practicing PTs that have a bachelor’s or master’s degree in physical therapy. During the 3 years of graduate school students gain extensive knowledge in the areas of biology, anatomy, physiology, exercise science, biomechanics, neuroscience, pharmacology, pathophysiology, cardiopulmonary, orthopedics, musculoskeletal, and kinesiology. Students also spend approximately 20% of their time participating in clinical education to prepare for entry level work immediately after graduation. (3) PTs, like ATs can work in a variety of settings, including hospitals, home health agencies, the military, sports teams, nursing homes, outpatient and private practice clinics, schools, and sports and fitness facilities. PT students must pass the NPTE (national physical therapy exam) and become licensed in a state of their choice. PTs pride themselves on being movement experts. They have extensive knowledge in how the body moves and what it takes to make the body move properly. PTs treat patients with the focus of improving their ability to move and perform functional activities of daily living. (4) These activities vary greatly amongst patients and practice settings. Some patients want to return to high levels of athletic involvement while some want to be able to walk around their home again. Physical therapy emphasizes movement, pain reduction, restoration of function, and prevention of disability. PTs can also see patients for injury prevention and whole-body wellness to allow people to lead more active lifestyles. Physical therapy allows for a wide variety of practice settings, including women’s health, sports, cardiopulmonary, neurological, geriatric, oncology, orthopedics, pediatrics, acute care, aquatics, hand therapy, lymphedema, and wound management. PT can specialize in one or multiple of these settings or can be a general practitioner and see a variety of these areas and refer to specialists as needed. To see a PT you can get a referral from your physician or go directly to one on your own. In all 50 states, there is some form of self-referral for PTs, although regulations in some states are more restrictive than others. In Kansas, PTs have self-referral, meaning there is no need for referral to see a PT. There are some limitations to this however. See this link for self-referral in each state. A personal trainer is a fitness professional with the knowledge and skills to implement and instruct a safe and effective exercise program for the purpose of increasing health and wellness or to help reach personal fitness goals. (6) While there are no state or federal laws on credentials for personal trainers, anyone calling themselves a personal trainer needs to have credentials. There are many credentialing organizations out there that certify personal trainers. The most common are NSCA (National Strength and Conditioning Association), ACE (American Council on Exercise), ACSM (American College of Sports Medicine), and NASM (National Academy of Sports Medicine). These organizations are recognized as NCAA approved personal training providers and all offer multiple levels of credentials. The organization a personal trainer decides to get certified with depends on the market and type of clientele that person wants to train. Personal trainer education requirements can also vary greatly. Some organizations require a high school diploma while some require at least a bachelor’s degree. All require CPR and AED certification to ensure safety of the clients. As education requirements increase, typically the knowledge required to achieve certification increases. As with PTs and ATs, personal trainers are able to work with a variety of clientele and in a variety of settings. Personal trainers can work in hospitals, clinics, high schools, colleges, with sports teams, private practices, home settings, and many more. Their clientele can also vary immensely from athletes to sedentary individuals, to cardiac patients, families, and children. This list is endless as anyone can have access to a personal trainer. When looking to work with a personal trainer it is important to find one who listens to what you want from them, assesses how you move and your fitness level, and puts your safety first. 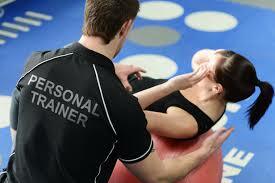 Personal trainers cannot treat injuries or manage medical conditions or diagnose injuries. In some states they are also prohibited from giving out nutrition advice. All personal trainers should demonstrate a good working knowledge of anatomy and how the body works. This knowledge will help to keep clients safe while working out. 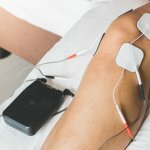 Finally, all personal trainers should be willing to send you to your physician, physical therapist, or another medical professional if you’re having pain or to get cleared to exercise. These attributes will help maintain your safety and demonstrates that the personal trainer truly cares about you and your health. If you have medical needs or are having pain, you should consult with a physical therapist or your athletic trainer as their knowledge of pathologies will likely be greater than a personal trainer. For more information on choosing a personal trainer, check out this link from CNN. What does it cost to see each? Athletic trainers, physical therapists, and personal trainers all cost money, but how much? Typically, insurance will pay for at least part of physical therapy visits. How much is paid for and how many visits insurance will pay for depends on the type of insurance a patient has. Some PT clinics also offer a self-pay option. This rate will vary between clinics and geographical areas. Athletic trainers can also be paid through insurance, although it is more difficult and standards are more stringent, and this varies from state to state. ATs can bill an insurance company when seeing active individuals or athletes in some states, while others can’t. Typically when an AT works in a clinic this is the clientele they serve so insurance can be billed. If an AT works for a company, the company or the individuals being seen pay for the service. ATs cannot bill insurance companies for seeing patients outside of their scope of practice which includes athletes and active people with neuromusculoskeletal injuries. Personal trainers are completely self-pay. Some companies and insurances offer reimbursement for clients that are maintaining their health and preventing chronic diseases and future healthcare costs though. According to the NSCA, the average rate of a personal trainer is $50 an hour with a range of $15 to $100 per hour. (5) Depending on the source, these prices can be a much wider range. Typically, the prices are higher in urban areas than rural areas. The cost of obtaining services from any of these types of professionals is worth it. They all enhance health, wellness, and quality of life in their own way. They teach people how to move and be active, something our bodies were made to do.